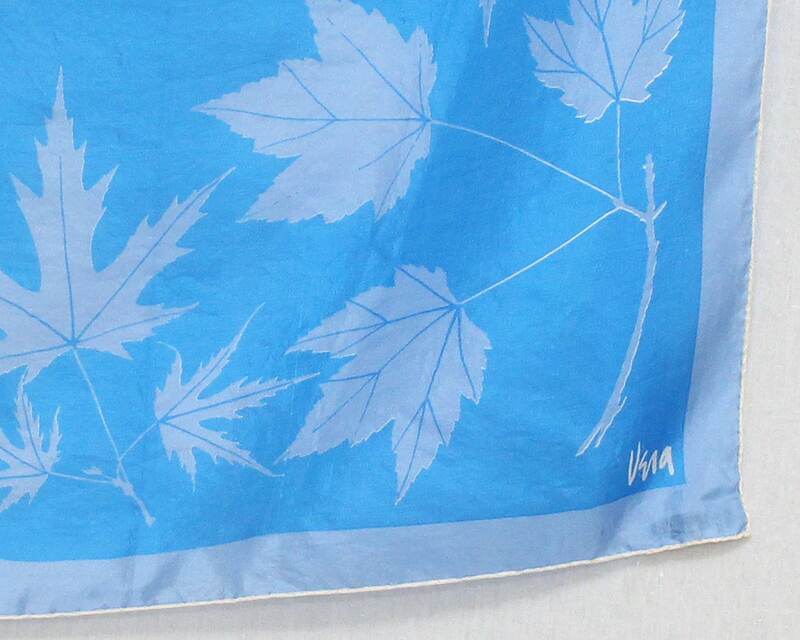 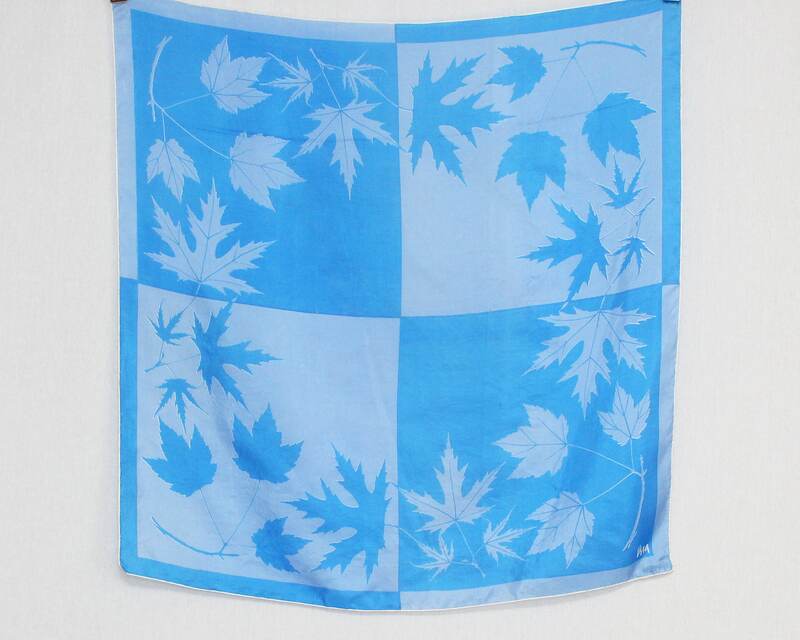 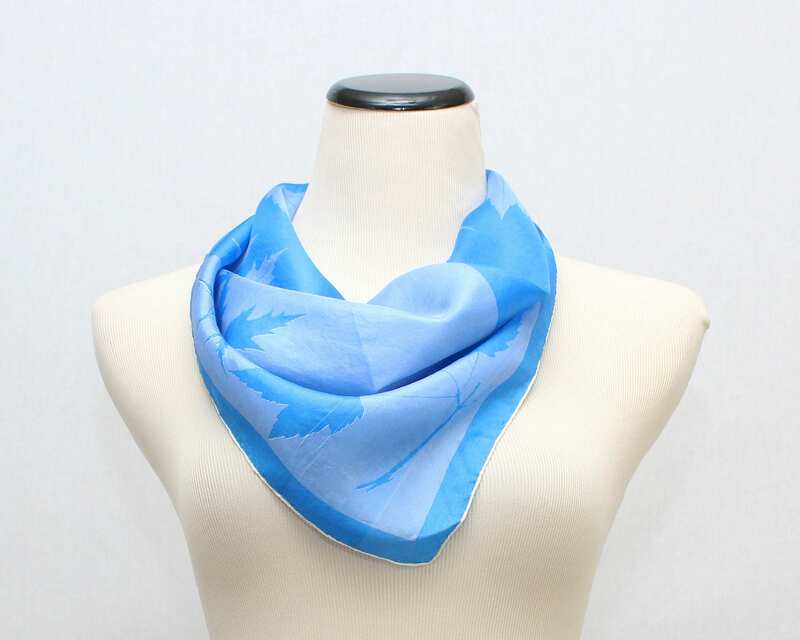 A vibrant blue silk Vera Neumann scarf in a lovely leaf print. 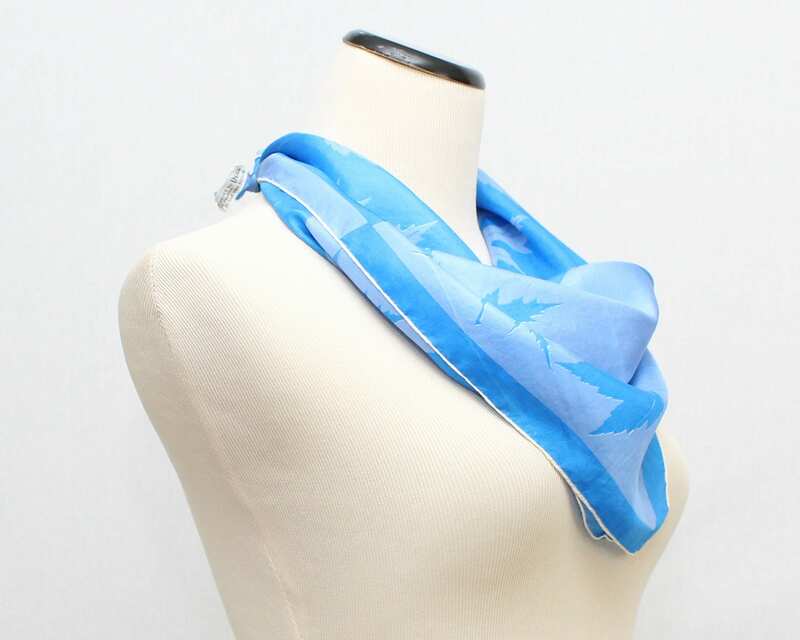 This is one of Vera's earlier scarves, made from surplus WW2 parachute silk, with hand rolled edges and the maker's tag attached. 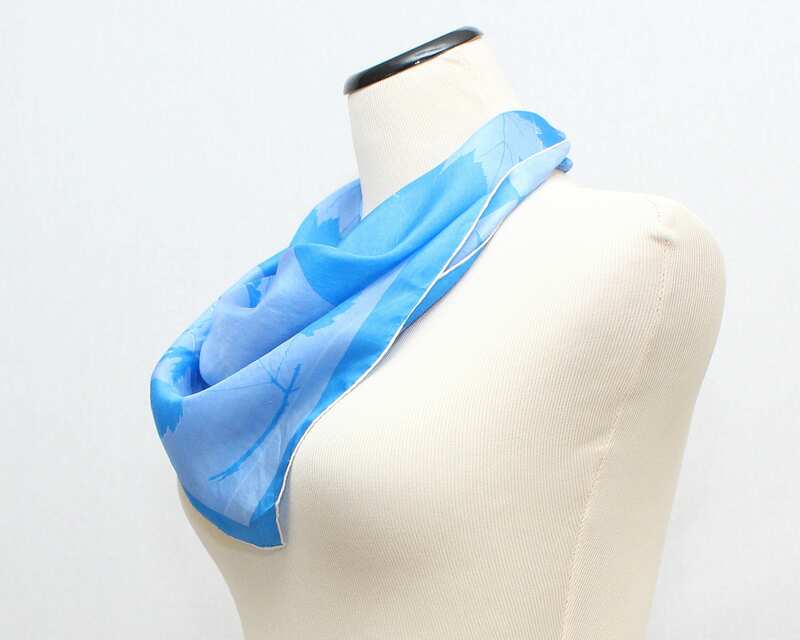 Some minor flaws in the silk but still lovely given the age.